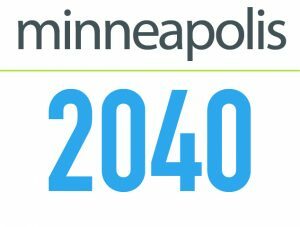 Minneapolis 2040: Do You Have A Better Plan? | Your best resource for buying, selling, owning and investing in duplexes and duplex homes. I have to admit to being a bit befuddled by the opposition to the Minneapolis 2040 plan. The city’s proposal, which will be voted on by the city council in December, suggests, among other things, to change some of the city’s zoning restrictions. Doing so would allow for the construction of new, small multifamily housing properties like duplexes and fourplexes. Last week, I saw a lawn sign near Lake Harriet that suggested Minneapolis 2040 would result in the home owners house being torn down. I’ve seen others suggesting that whole neighborhoods will be bulldozed. I’ve skimmed the city plans. I haven’t seen a reference to either of those things. The city’s proposed plan is simply an attempt to address a need to create housing for the anticipated 27 percent increase in the area population by the year 2040. The addition of 367,000 new households over the next three decades means that there must be nearly 13,000 new housing units built every year until 2040. Thanks to the cost of new construction, developers can’t break even on a new apartment building unless they target it as a luxury rental. Changing zoning restrictions would simply allow investors and developers to build duplexes instead of McMansions on lots where the current housing inventory is either beyond repair or obsolete. Yes, a necessary component of the city’s plan will include affordable housing. At present, nearly one-third of the households in the seven county metro area are paying at least 30 percent of their income for housing. An additional one out of every seven households in the metro area is paying at least 50 percent of their monthly income toward housing costs. Sure, granite countertops are not a requirement for living. However, if you’d like to see what housing stock that is currently available for lower income tenants looks like in the metro, I invite you to come look at property with me. Let’s put it this way; they aren’t places many of us would like to live. Meanwhile, many of us benefit from the efforts of people who work in our cities for minimum wage. We are glad to find a cashier at a discount store, or grateful somebody was there to make a sandwich for us at a fast food place. Those employees, who we so desparately depend on to make our own lives better need housing too. And at $15 an hour new construction luxury apartments aren’t a solution. According to the Minneapolis Star Tribune, the median rent for a one bedroom apartment in the Twin Cities is currently $1028 a month. Divide that by $15 an hour, and a minimum wage worker has to work 68.5 hours just to afford a place to live. Actually, it’s more than that, because of taxes and withholding. We all profess we want to take care of the environment and are concerned about global warming. And yet, high rent forces many workers into the outer suburbs and beyond in the search for more affordaby priced housing. They either have to drive to work — which contributes to global warming, or they find jobs closer to where they live. The city of Minneapolis is simply trying to be proactive and find a solution to what is a very real current and growing problem of population growth and a subsequent lack of housing. Look at the facts and problems they are trying to address and prevent. Then offer a better solution if you have one.